Dikymbe Martin, photo by Carlos Puma. 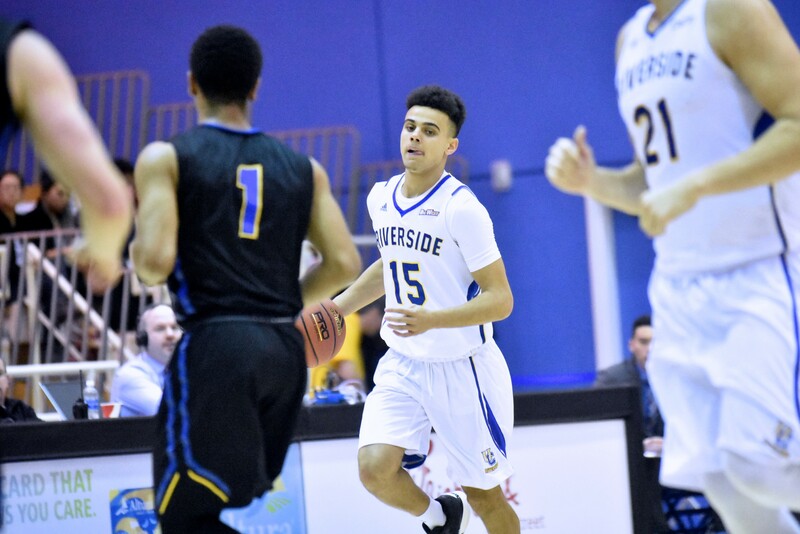 You might say that UCR and basketball run in Dikymbe Martin’s blood. 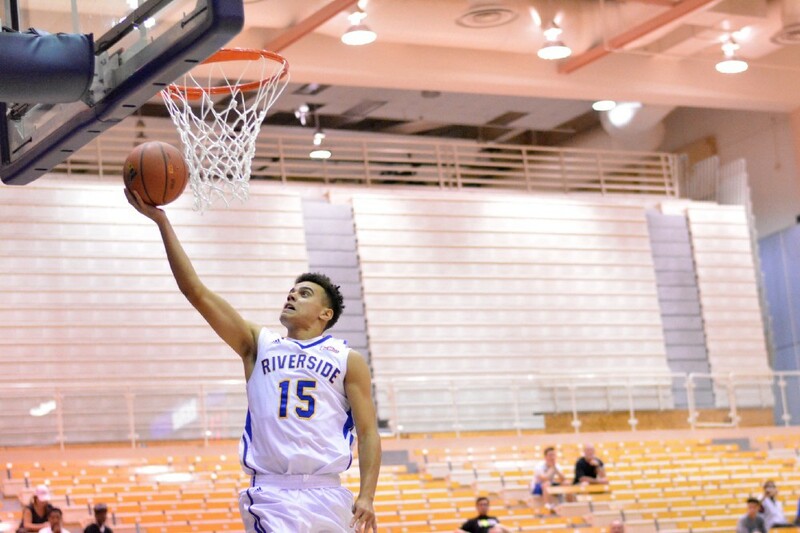 The 19-year-old sophomore point guard, who goes by “DK” for short, grew up in Riverside — and both his dad, Jalani Bakari ’88, and sister, Akilah Martin ’16, are UCR alumni. Akilah, 23, played women’s basketball for four years at UCR and now serves as director of basketball operations for the team. Dikymbe caught the basketball bug in middle school after watching his older sister compete on John W. North High School’s women’s varsity team. He grew up playing against Akilah and their brother, 21-year-old Malik, a third-year student at UCLA, on the siblings’ backyard court and at Bobby Bonds Park. 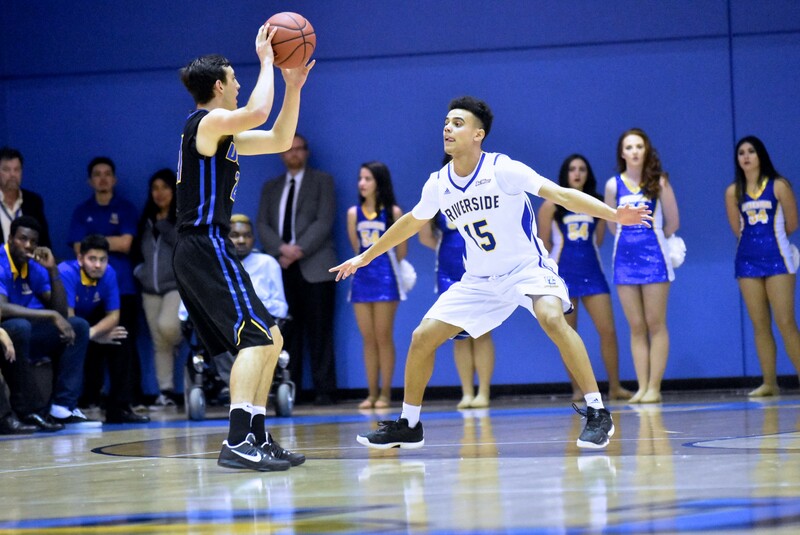 The 6-foot-1-inch, 165-pound Martin led North to four Inland Valley League titles and two California Interscholastic Federation (CIF) championships, being named league MVP and CIF 1AA Player of the Year in his senior season. He also played on an American Athletic Union youth team with Lonzo Ball, who went on to play at UCLA and was drafted by the NBA’s Los Angeles Lakers in June. College coaches took notice of Martin as early as the ninth grade, with scholarship offers later arriving from UC Santa Barbara, UC Davis, New Mexico State University, and Lehigh University, among others. 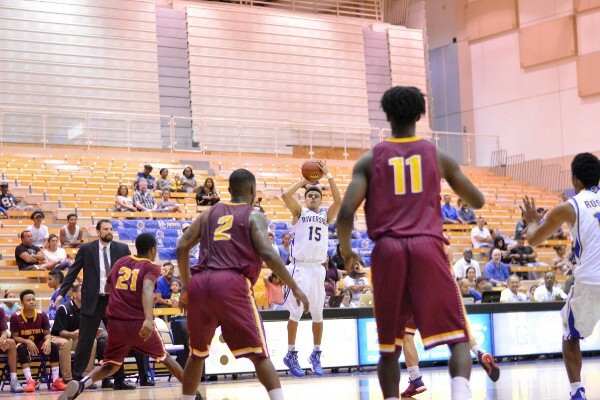 Martin spurned those suitors in favor of UCR, adding another layer to his family’s deep connections to the school. But he made his decision for a different reason. In his first season at UCR, Martin averaged 9.4 points, 2.6 assists, and 2.2 rebounds a game, playing an average of 27 minutes. But the talented mid-range and three-point shooter is hungry for more, working hard in the offseason to improve his game — including daily weight room sessions and hours spent on the court shooting jumpers. He’s also working on vocalizing his on-court leadership this season. “As a freshman, I was more reserved and less talkative,” he said. Martin and head coach Dennis Cutts are hoping his play can inspire other Inland Empire basketball players to stay close to home when it comes to choosing a college. He’ll also have to pick a major. Martin’s trying to narrow down his options, which include environmental science, history, anthropology, and economics. To purchase tickets for any of the Highlanders’ home events, please contact the UCR Athletics Ticket Office at (951) 827–4653.